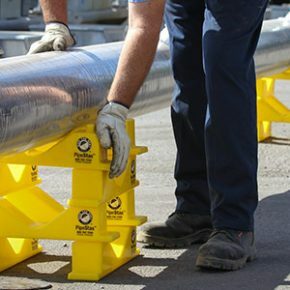 Piles of wood dunnage on the jobsite are unsightly and can be dangerous. 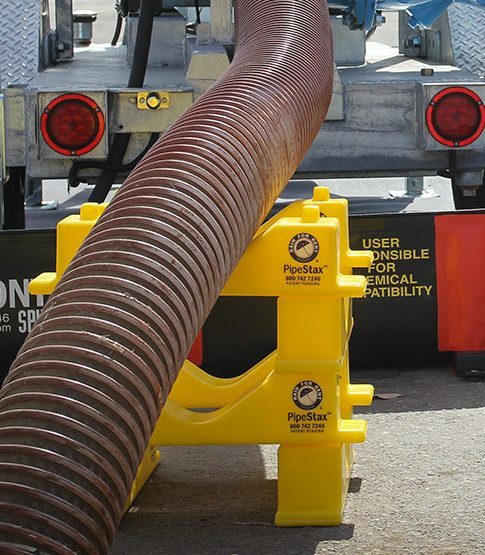 Rain for Rent’s commitment to improving safety led to the creation of PipeStax modular pipe support blocks by acting as sewer hose support. 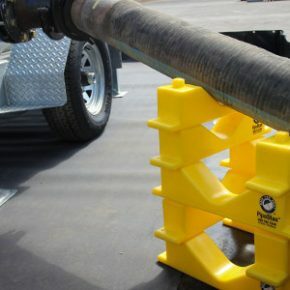 By stacking the interlocking PipeStax blocks to your desired elevation, your hose and pipe will be stable and safe. 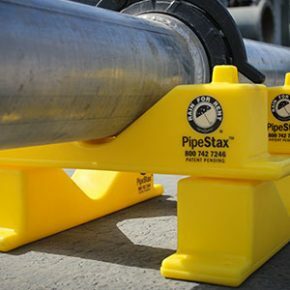 PipeStax® can easily be added to your existing cribbing, or eliminate all wooden dunnage entirely. 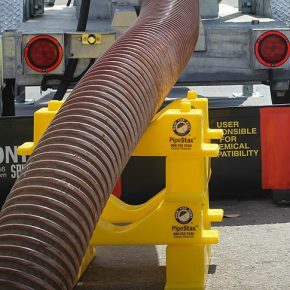 By removing piles of wood from your jobsite, tripping hazards are reduced. 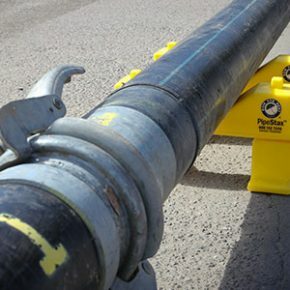 PipeStax are reusable, do not splinter and do not absorb liquid like typical wood used for cribbing. 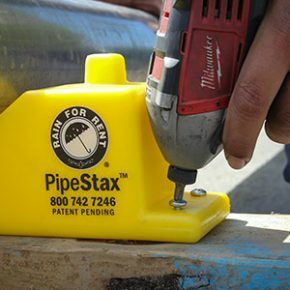 Weight per PipeStax: 2 lbs.